Households and networks: Will your friend’s job search get you a job? Does land title registration work? More fresh papers from the CSAE Conference! Elwyn Davies, Viviana Perego, Emma Riley and Marc Witte give an overview of a selection papers on networks, households and gender. Are there spillovers from your friend’s job search? Does the language you speak matter for labour market participation? How does land title registration help with gaining access to credit? Does land title registration help gaining access to credit and investment? Niklas Buehren (World Bank; joint work with co-authors) presented the results from a Regression Discontinuity Design studying the impact of the MiDA pilot land titling programme in Central Ghana, focussing on various measures of investment, asset ownership, agricultural production and welfare. 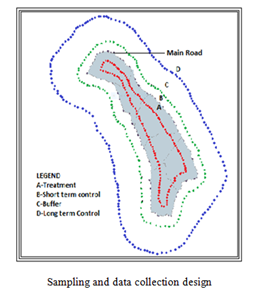 His findings point to a very strong, positive effect of MiDA on land titling, measurement, and demarcation. The picture is more nuanced when the authors turn to other welfare and investment outcomes, which differ substantially between men and women and between the short and the medium-long term. In particular, the programme induces women to decrease their access to credit and their savings stock, which seems to be driven by a reduction in savings held in formal financial institutions. On the other hand, men report a decrease in their land value in the short run, but a substantially higher land value later in time. Also, men do not seem more likely to have acquired land by purchase, but seem to be accessing land more informally through renting and free allocations. 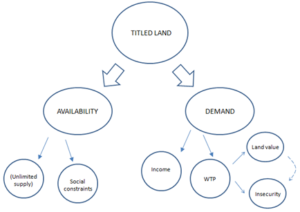 Getting deeper into the determinants of the demand for titled land, Viviana Perego (University of Oxford) presented a paper in which she showed that agricultural commodity prices induce small farmers to increase their share of titled land in Uganda. In her paper, Viviana provides evidence that her finding stems from the interaction of an income effect, a composite incentive effect, and unbalanced opportunities created by the social context where farmers operate. 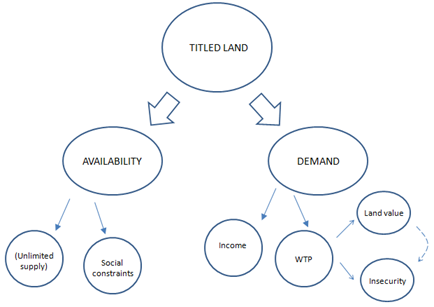 In particular, she points to a strong role of perceived land insecurity and of social capital (proxied by the extent of ethnic homogeneity in the area where farmers live): in areas where social capital is higher, certain types of land registration increase and others are disincentivised, but the latter effect is due to a reduction in perceived insecurity. Finally, social capital appears to have an equality-enhancing effect: vulnerable households benefit more in high-social-capital areas, whereas the wealthy and households with political connections are at a relative advantage where social capital is lower. Does language lead to lower female labour participation? Is there a relationship between gendered languages and the degree of labour participation? Michelle Rao presented her prize-winning MSc extended essay in which she studied the relationship between speaking a language with a strong distinction between masculine and feminine and labour market participation. She finds that women speaking a language with such a strong distinction (as measured by a Number of Genders Intensity Index) are five percent less likely to work. The big question is what is driving this: is it saliency, that language reminds you of gender beliefs? Will the job search of your friend get you a job? There has been a lot interest among policy makers and researchers to leverage social networks to magnify the impacts of interventions. However, very little is known about whether interventions have direct impacts on the shape of individuals’ social networks. This limits policy makers’ ability to design such policies. 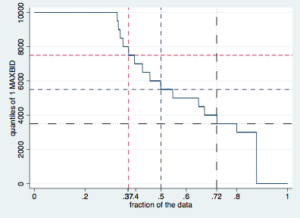 In a recent paper, Stefano Caria (Oxford), Simon Franklin (LSE), and Marc Witte (Oxford) track the individuals who share job-related information with the participants in an RCT of a job search assistance intervention in Addis Ababa, Ethiopia. People who are offered the intervention search for work more intensely and get better jobs. Do their untreated information-sharing partners receive more information about job opportunities as a result of this? Comparing the information-sharing partners of individuals in the treatment and control group, the authors find no evidence of an increase in information and resource sharing. To the contrary, information and expense significantly decrease for the subgroup of active job-seekers. Untreated information-sharing partners reduce their overall job search effort, and there is weak (marginally insignifcant) evidence of lower employment rates. These negative findings suggest that interventions can change the way social networks operate. In particular, treating only some people in a social networks may lead to a deterioration in social capital. Subsidizing solar lamps in Uganda: giving a low introduction price can lead to a higher willingness-to-pay later on! Erwin Bulte (Wageningen University) and coauthors collaborate with multinational Total and the Dutch NGO D.Light to look at the impacts of short-term subsidies for a new solar lamp on product uptake, usage and demand. The intervention takes place in an astonishing 172 villages in the rural Adamawa region in northern Cameroon, where the authors conduct Becker-DeGroot-Marshak auctions to elicitate villagers’ willingness-to-pay (WTP) for the high-quality solar lamps. The strike price (selling price) of the lamp is then randomly varied by village level, including a subsidy of 25, 50 or 75 per cent of the original full price. Individuals with a stated WTP higher than the strike price buy the lamp. Two years later, the authors repeat the same auction, including all first-round participants and some new villagers. Elegantly integrating different theories of the effects of product subsidies into one single experimental design, the researchers find that (perhaps as expected) subsidy size greatly increases product uptake, but does not affect how much the lamp is used (ruling out so-called ‘sunk-cost effects’). Additionally, participants receiving a higher subsidy in the first round (i.e. who paid less) have a higher willingness-to-pay in round 2, pointing towards learning about the product benefits (‘learning effect’) rather than people getting used to the low price (‘anchoring effect’). Finally, the evidence on network diffusion of the benefits of the solar lamp is mixed: Despite being a highly visible product (shiny new light at night), villagers were not willing to pay a significantly higher amount for the lamp in round 2 if their neighbours had bought one previously. Mahreen Mahmud (University of Oxford) presented a paper, showing the results from a series of games with couples, selected randomly from a group of female microfinance loan applicants who received a loan or not. They find agency increases for women randomised to receive the loan but their perception of the appropriateness of women making independent decisions went down, suggesting women starting businesses encountered situations where negative norms of female agency played a role. They also asked men and women to do a task where they earn income in order to create a sense of entitlement to earned income. They find that entitlement to income increases hiding among women, raising questions about whether entitlement actually means you have agency to act on this. The above is just a selection of papers from the CSAE Conference. The entire programme and the papers presented can be found here. Elwyn Davies is a DPhil student in Economics at CSAE and a Lecturer in Economics at the Queen's College, Oxford. He studies firm growth as well as on the adoption and effectiveness of incentives by firm managers. This entry was posted in CSAE Conference, Institutions and Growth, Jobs, Finance and Skills and tagged Households, Jobs, Networks, OxCSAE2017. Bookmark the permalink.